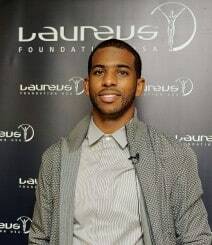 An NBA All-Star point guard, who currently plays for the Houston Rockets, Chris Paul has won the NBA Rookie of the Year Award, an NBA All-Star Game Most Valuable Player Award, and two Olympic gold medals. He led the NBA in assists four times and steals six times, being the all-time NBA leader in the latter category. Chris also has been selected to nine NBA All-Star teams, eight All-NBA teams, and nine NBA All-Defensive teams. Since 2014, he has served as the President of the National Basketball Players Association.